In a number of articles on this website we have insisted on the point made by Italian philosopher and theologian, Romano Amerio, that Descartes’ subjectivism, which has infected all modern philosophy, was a consequence of Martin Luther’s revolt against God. Luther’s failure in the moral order (and it was primarily a moral, not a religious, failure) brought with it inevitable consequences in the intellectual order. Here, in a further extract from his essay on the subject, Jacques Maritain exposes the development of Luther’s absorption with the self which finds expression in a false dichotomy between reality and the heart of man. Maritain puts his finger here on the foundation of the division between Catholic and Protestant, the Protestant’s radical misconception of reality. A note of explanation: when Maritain uses the noun ‘spirit’ and its adjective ‘spiritual’, he is not referring to some product of the imagination or some fairy tale, nor is he using the language of religion. He is referring to that part of reality otherwise called ‘the immaterial’. By way of illustration, justice is not something material; it has no length or breadth, no weight, no colour, no body; yet it is real: you can define it—the rendering to each of what is due to him. Deprive a man of his rights and you will see just how real justice is. Man has a body; he has length, breadth, weight and colour, but in addition, he has a power devoid of any of these material properties, intellect (and its appetite, will). Nothing can possess an immaterial power such as intellect and not have as its essential constitutive—its substance—something which is itself immaterial. So, is the soul of man immaterial: it is spirit. If an error creeps into minds, it is always thanks to some truth which it twists. There must be some basic illusion at the heart of the Lutheran Reformation which we need to seek. For that there is no method better than to question the reformed themselves. What do they tell us? They tell us that the essence of the Reformation is to exalt the Spirit against Authority, the interior energy of man, master of his judgement, against dead ideas and lying conventions imposed from without. What Carlyle sees in Luther is “a man self-subsistent, true, original, sincere.” “With spurious popes,” writes this naïve Hegelian, “with spurious popes, and believers having no private judgement—quacks pretending to command over dupes—what can you do? Misery and mischief only… In all this wild revolutionary work, from Protestantism downwards, I see the blessedest result preparing itself: not abolition of Hero-worship, but rather what I would call a whole world of Heroes. If Hero means sincere man, why may not every one of us be a Hero?” Why, indeed? Why are not all sincere readers of Carlyle, Heroes? Why does not the sincerity of a scoundrel make him a martyr? The passage which I have just quoted is a good abridgement of anglo-modern stupidity, but I keep only the signs we are needing at the moment: the great ideas which the Lutheran error turned into illusions, the ideas of liberty, inwardness, spirit. Here we touch the heart of the immanentist error. It consists in believing that liberty, inwardness, spirit, lie essentially in opposition to what is not the self, in a breach between what is within and what is without. Consequently truth and life must be sought only within the human subject; everything in us that comes from what is not ourselves (from what is ‘other’), is a crime against the spirit and against sincerity. And thus everything extrinsic to us is the destruction and death of our interior. And every mean which common sense regards as uniting interior and exterior and bringing them into communication is in reality an ‘intermediary’ which separates them. So, for modern Protestant individualism the Church and the Sacraments separate us from God; so for modern philosophic subjectivism, sensation and idea separate us from reality… [I]t was [Luther] who… introduced this principle to modern thought… by setting up Faith against Works, the Gospel against the Law, and by actually falsifying that very faith to which alone he looked for salvation, an heretical pseudo-faith which could not but come down gradually to what it has become with many Protestants of our days, a transport of distress and trust towards the unknown from the deeps of the self. What is remarkable here is, that this modern myth of Immanence with its exaltation of the dignity of the spirit is precisely based on a radical misunderstanding of the true nature of the spirit. To receive from others, from outside, is indeed in the world of bodies, in the world of transitive action, pure submission and is most certainly contrary to living spontaneity, since there we are dealing… with lifeless things, which, incapable of perfecting themselves, serve only for the passage and transformation of the energies of the universe. But to receive from others in the spiritual world… is certainly submission in the first place, but only as a presupposed condition… to perfect oneself interiorly and manifest the autonomy of what is truly living. For the very quality of spiritual things is that they are not confined within their separate being and can increase intrinsically by the being of what is not themselves. If the law of the object, the law of being, imposes itself on the intelligence, it is in order that the intelligence may itself find vital completion in an action which is a pure immaterial quality, and in which the very thing which constitutes what is ‘other’ becomes its own perfection. And if the law of the Last End, the law of the good, imposes itself on the will, it is that love may make us one with the Author of all good, and that we-–by following His law, which has become ours—may still follow our deepest and most intimate attraction. That is the mystery belonging to immanent activity, perfect interiorisation, by knowledge and love, of what is ‘other’, or of what comes from another than we. In a still more transcendent order, before a yet deeper mystery—that of the creating Spirit’s action on created spirits—Luther again isolates irremediably what is ourselves from what is ‘other’, our spiritual vessel from the surrounding ocean. He turns our justice into a veneer under which we go on producing our bad works, bad because “men’s works, even though they always seem beautiful and probably good, are mortal sins,” whilst God’s works, were they always ugly and apparently bad, are of eternal merit. “He does not even consider,” says Bossuet, “that men’s good works are at the same time God’s works, since He produces them in us by His grace.” This is the whole secret. For the immense God who is in the very heart of all things because he creates them, and has dominion over being itself, working in each creature as befits the nature he gave it, causes in spirits the action of spirits in the mode proper to spirits, with all the spontaneity, inwardness, and liberty which befit their nature. The absurd Lutheran externalism may well pretend to give all to grace; in reality, by regarding it as impossible that a work of man should be also a work of God, it lays down the principle of unbridled naturalism which in a little more than two centuries ruined everything in Western thought before blossoming into contemporary immanentism. No longer is there any question of the indwelling of the Divine Persons in our soul. The soul is driven back into its solitude, it has become impenetrable to everything but self. The Reformer, and with him the whole modern world, rises against two mysteries: the mystery of the divine operations, and the mystery of immanent activity and the capacity of spirits. Things perfectly clear until then because they were accepted become obscure because they are denied. They can no longer keep anything of the things of the spirit but what is accidental and accessory, conditioned by the material and human. Intellectual magisterium, human or divine, Church and revealed dogma, even more radically, authority of objective being and the moral law, are finally no longer conceivable except as external and mechanical restraints forced on a nature which suffers them under compulsion. Now the lists are open. Immediately after Luther, there is, for reasons of public safety and to avoid perishing of anarchy, a reaction of authority in Protestant Germany under the most tyrannously social form. What external compulsion is worse than to have princes legislating in spiritual matters and Churches separated from the Spirit of Christ? What discipline is more material and mechanical than Protestant scholasticism? What literalism is more oppressive than that of a dead theology and a ‘supernaturalism’ based not on Primal Truth, but on the human reason of preachers paid by the State to interpret Scripture? What burden is heavier than their morality and that decalogue which terrified Luther and is terrible indeed, when the inward principle of grace no longer gives us strength and inclination to live in accordance with it? But the spirit of Luther went on travelling underground, for new upheavals and new crises. And in such degree as the modern world and modern thought receive it, it gnaws them without respite and, because every spirit is stronger than matter, it swallows up, one after the other, all material prohibitions which restrain it for a time. The essential conflict of spirit and authority, of Gospel and Law, of subject and object, of intimate and transcendent, is a specifically Protestant conflict. It is meaningless in an order of things that takes account of spiritual realities, and Modernism has tried in vain to carry it into the Catholic mind. But see! 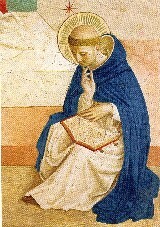 By virtue of the principle of Immanence, since everything brought from outside is henceforth counted as oppression and force, it will, in the last analysis, be necessary to shut everything up in our spirit so that it may not have to receive anything from outside, and conclude all in man, including God Himself. Nature is itself dormant thought: in nature God is in process of becoming: and man will be the final stage of evolution at which that same nature will attain to self-consciousness. The great “wild revolutionary work, from Protestantism downwards,” thus prepares nonsense pure and simple as “the blessedest result”. It promises rest to the reason only in contradiction, it sets a universal war within us. It has inflamed everything, and healed nothing. It leaves us hopeless in face of the great problems, which Christ and His Doctors solved for redeemed humanity so long as it was faithful, problems which, nearly four centuries ago, once more began to rack the human heart like angelic instruments of torture. Three Reformers, Charles Scribner, New York, 1950. My copy, a republication by Greenwood Press, Publishers, Westport, Connecticut, 1970. The material quoted is from pp. 45 to 50 of this edition. The original has extensive footnotes and source notes which have not been reproduced. All emphases are in the original.